Austronesian speaking peoples migrating from Southern China reach the Philippines where they mingle with the previous settlers, the Negritos. 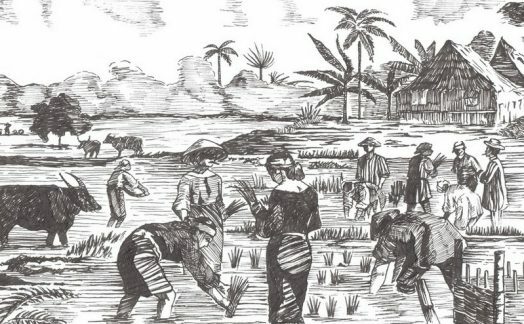 They carry the knowledge of rice cultivation, but the main source of calories are root crops. In the coastal and river areas, the chief source of proteins are fish and shellfish. 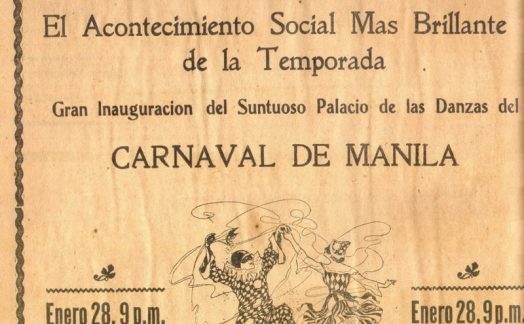 Spain colonizes the Philippines. 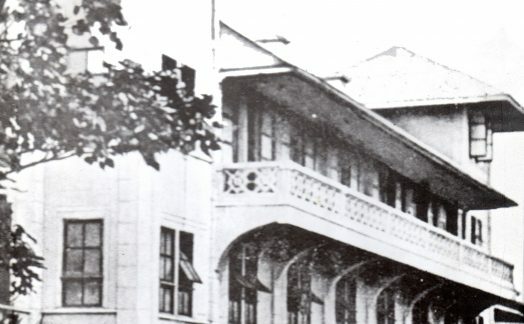 The center of the Galleon Trade shifts to Manila. New crops, cooking styles, and dishes are brought in by Spanish, Chinese, Mexican, and Indian traders. A bourgeoisie emerges whose wealth comes from growing and selling agricultural crops. Machine-driven sugar mills open, resulting in the widespread availability of refined sugar. Beer drinking also becomes popular in the islands. American rule is consolidated, after the Spaniards leave. 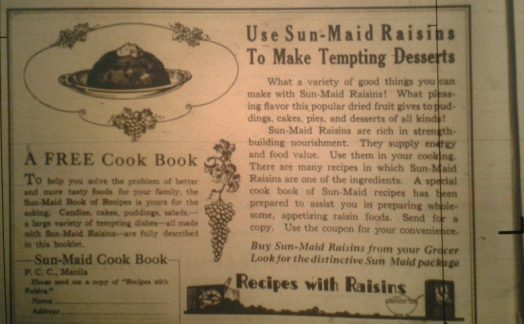 American foods and cooking styles enter. At the same time affordable kitchen apparatus become widespread, such as refrigerators and electric stoves. Vendors in public markets supply their stalls with small crabs (talangka) freshly caught in esteros during the rainy season (Doeppers, 2016). 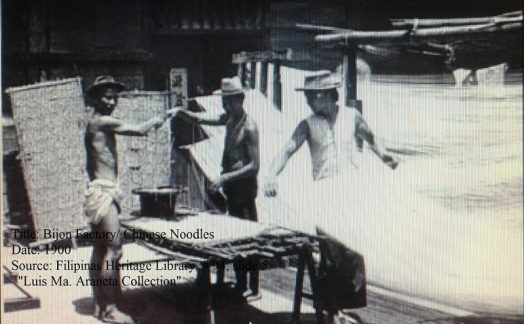 Pancit bihon or Chinese noodles produced in local factories are packaged and sold at the market. 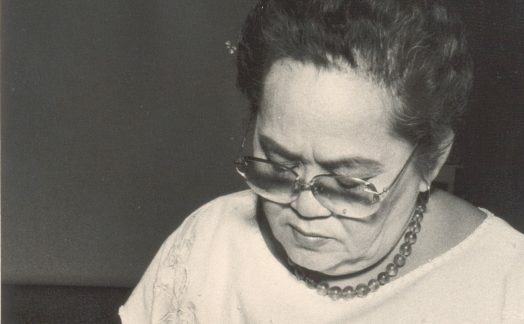 Teresita is born on May 11, 1917 to mother Engracia “Asiang” Cruz Reyes, an enterprising cook, and Alex Reyes, a hardworking legal luminary. Sita studies in St. Theresa’s College. Asiang opens Lapu Lapu, a small canteen beside the school, making sure that Sita helps out in the chores for marketing, cooking, and serving. 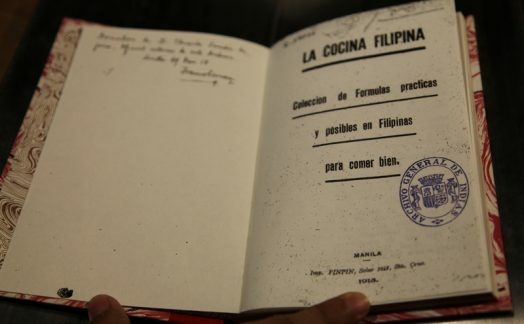 A book on food preservation is published by pioneering food technologist, Maria Orosa. Sita marries Fidel Reyes, and they start a family. 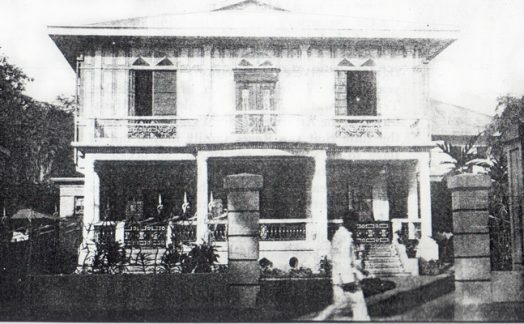 Her mother opens The Aristocrat, one of the oldest Filipino restaurants that still stands today. Hard years of war with Japan spell food shortages. Rice bran, root crops, and stringy vegetables become the staple food for most Filipinos. 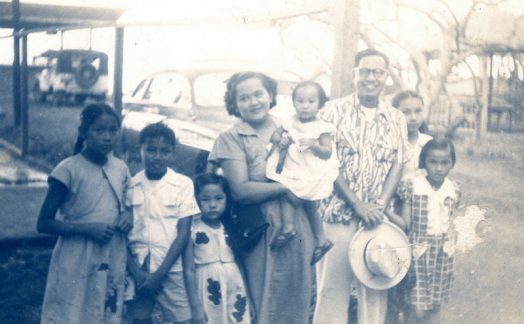 With rumors of Manila being bombed, Sita’s family moves to Bulacan. Due to the economy of those times, Sita learns simple and resourceful cooking, making dishes from what little was around her. Sita’s entrepreneurial spirit takes over: she starts selling turon in Ateneo and La Salle and different meriendas in the front of St. Theresa’s College. Her family moves back to Marquez de Comillas, and eventually she takes over the carinderia. Mama Sita travels to different countries, and gets exposed to international cooking and other cuisine. She cooks Filipino food for homesick kababayans and realizes how difficult it is to cook homegrown dishes away from home. Sita becomes the purchaser for Aristocrat. 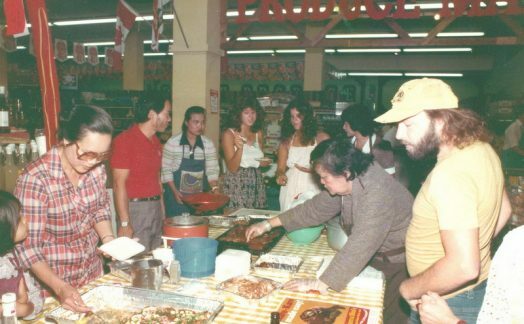 Armed with skills for finding the freshest ingredients, she would set out in the early hours to shop at the markets in Divisoria, where her suki-- the vendors from whom she would often buy-- fondly remember her to be a most engaging customer. Bringing one her of children along, she wasn't afraid of the hustle and bustle of the marketplace; "lost" would not be a word to describe her as she thrived in this maze of wares! 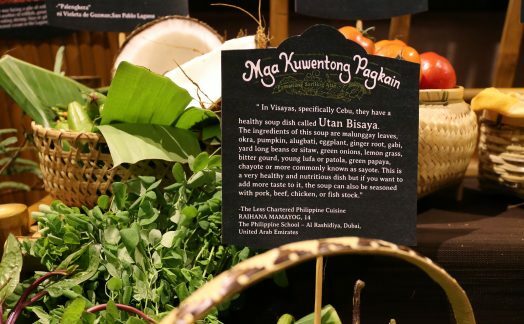 Sita convinces her son-in-law to produce mixes that would make Philippine cooking easily available locally and internationally. 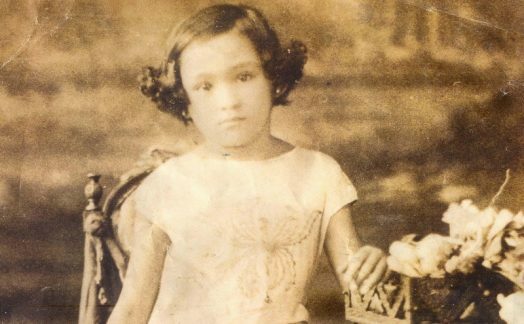 The family establishes Marigold, the company that would produce Mama Sita’s mixes and sauces. 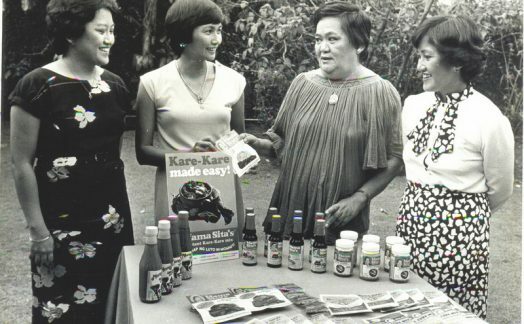 Mama Sita lauches her pioneering line of Filipino Mixes, Marinades, and Sauces with a series of in-store promotions and cooking demonstrations in the U.S.A and Canada. Mama Sita’s Barbecue Marinade quickly becomes a crowd favorite. 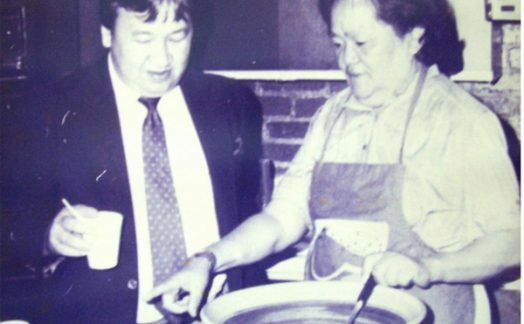 Image: Mama Sita with White House Chef, Tony Cabellon. 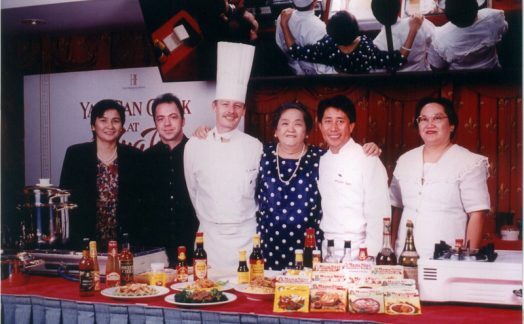 With the help of Mama Sita, Martin Yan shoots his documentary of Philippine cooking. 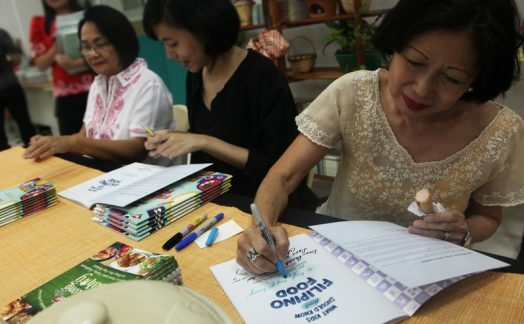 After Mama Sita has passed away, the Mama Sita Foundation is established by the clan members as a memorial, focusing on the continuity of her various advocacies.  Some of these are: to plant fruit trees in the country, to advance the practices on the utilization of agricultural by-products, such as cashew vinegar from the cashew apple fruit; to recognize culinary excellence in families/ persons who have contributed to Philippine cuisine as well as to the Mama Sita cuisine. 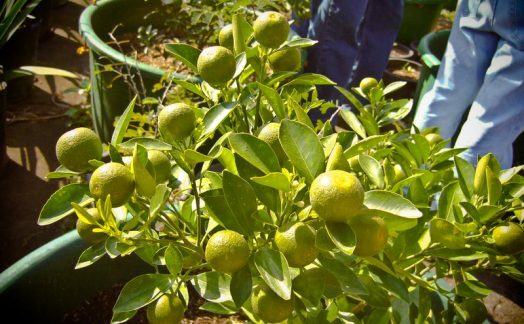 Image: One of the Mama Sita Foundation projects is the development of “Luz Calamansi’ which has 20 percent more juice rendered because it has only 1-3 seeds while the ordinary Calamansi has 6-11 seeds. 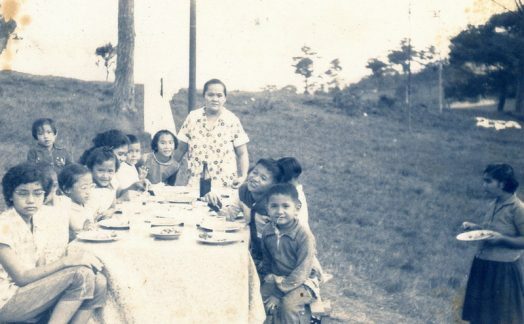 Mga Kuwentong Pagkain: an initiative by the foundation to encourage everyone to share authentic and little-known Filipino food stories. 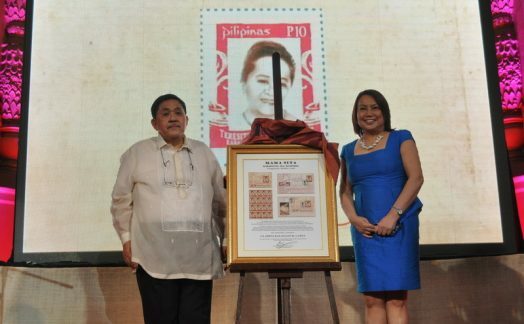 In recognition of her contribution to Filipino cuisine, the Philippine Postal Corporation launches a commemorative stamp for Mama Sita. On May 11, 2017, Mama Sita’s birth centenary is celebrated through the publication of culinary historian Felice P. Sta. 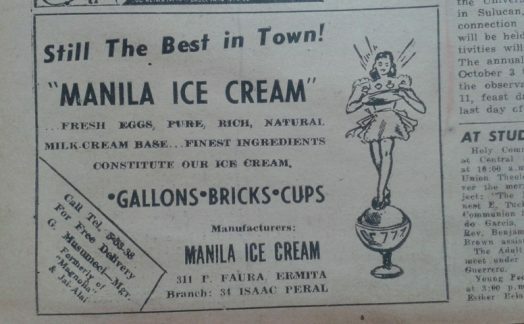 Maria’s "What Kids Should Know About Filipino Food - Mama Sita Centennial Edition." A musical concert is also staged in honor of Mama Sita’s 100th year, featuring Filipino folk and patriotic songs performed by The Andres Bonifacio Choir. 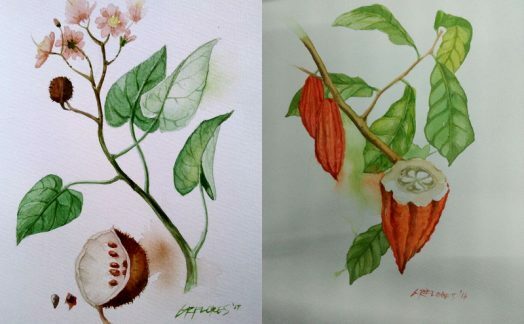 To date, there are more than 100 Mama Sita variants of sauces, spice mixes, and artisanal products.